OpenPaddock.net is super excited to have been invited to get an up-close view of the Red Bull Global Rallycross event at DirtFish Rally School just outside of Seattle, Washington. I’ll be there all weekend with OpenPaddock contributor, Robert Mahony who will be acting as our chief photographer. We’ll do our best to get you a detailed behind the scenes experience of what is expected to be one of the highlights of the entire GRC season. I actually attended the event at DirtFish in 2011, then called GRC Twin Peaks. The sport was in its infancy then, but the potential was evident. Many fans, myself included, reflected back on Twin Peaks as one of the most successful GRC events to date. With lots of gravel, unpredictable Pacific NW weather, and the epic run through the old mill building, the DirtFish training grounds reflected all best elements that rallycross has to offer. Now 3 years later Red Bull GRC has designed a new track that is supposed to be even better. Utilizing the same joker split at the start used in Daytona, the 0.793 DirtFish circuit includes 11 turns and has a pleasing ratio of 58.5% tarmac to 41.5% Dirt/Gravel. 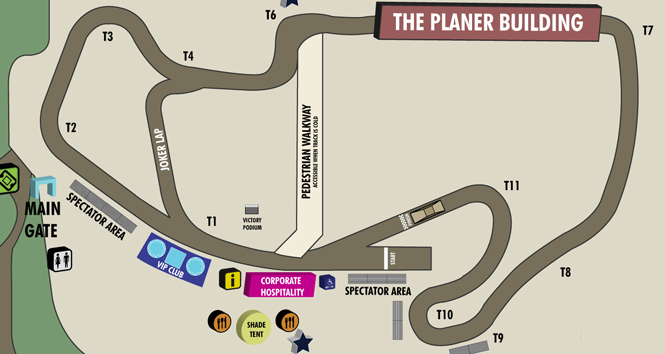 Just one look at the design below and I think you’ll agree that this is again the best GRC track so far! There have been many exciting developments leading up to the Red Bull GRC round at DirtFish. 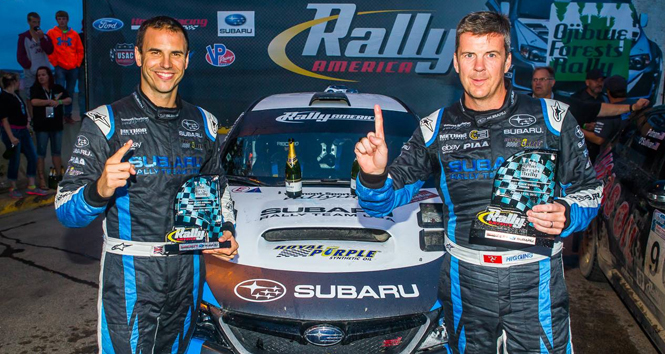 Subaru Rally Team USA’s 4 time consecutive Rally America Champion driver David Higgins will be getting back behind the wheel of a DirtFish sponsored Subaru for the event. Tanner Foust will be competing in the new Rockstar Energy Drink Volkswagen Beetle he debuted in last weekend. 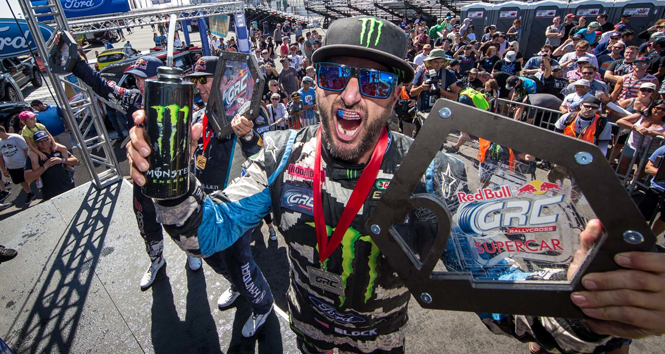 And Ken Block, after a virtually faultless two rounds in LA will be looking to increase his points lead in his bid for the Red Bull Global Rallycross Championship title. We’ll follow up on these stories, GRC Lites, and get you some inside information on the supporting cast that makes a Red Bull GRC event tick. If you can’t make it to this awesome event, be sure tune-in to the event coverage on NBC this Sunday at 4:30 PM Eastern (1:30 PM Pacific). This will be a longer hour and a half program which hopefully give us more of the racing action that we crave so much!